Data Source: CDC. HIV Surveillance Report, Diagnoses of HIV Infection in the United States and Dependent Areas, 2015, Vol. 27; November 2016. 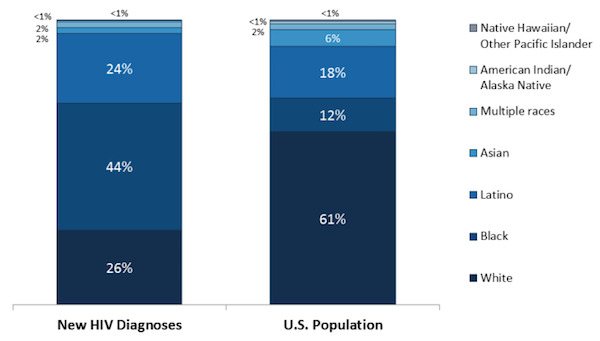 HIV diagnosis data are preliminary estimates from 50 states, the District of Columbia, and 6 U.S. dependent areas. KFF. State Health Facts; accessed January 2017. This entry was posted in Medicine and Society Data Watch on February 15, 2017 by Genevra Pittman.